I have a beautiful silver pendant from Oorla Jewellery worth £55 to give away to one lucky reader. The pendant is a dainty yet detailed sterling silver sparrow charm on a delicate sterling chain. Three labradorite gemstones add a splash of iridescent colour and meaning. Did you know that Labradorite is said to give protection from negativity and misfortune and it has always been considered a magical stone which helps develop spirituality. The sparrow is also a symbol of good luck! The pendant comes packaged in a gorgeous white ribbed gift box – an ideal Christmas gift for someone special or as a treat to fortify yourself against the stress of all that Christmas shopping and being nice to relatives! 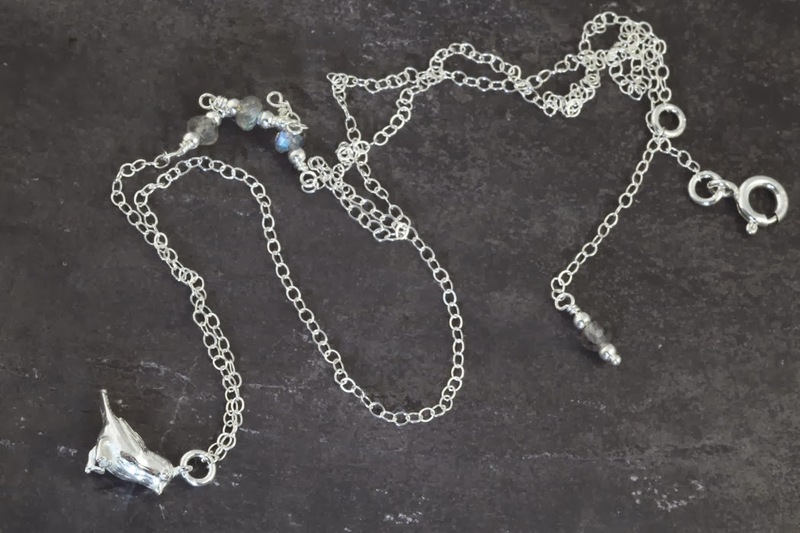 Based in Surrey, Oorla Jewellery specialises in high quality contemporary handmade silver and gemstone jewellery inspired by colour, pattern and texture in the natural world. The company was set up in 2010 by jewellery designer Oorla Morgan who, like me, is also an older mum to two beautiful kids. Oorla can be contacted on 07725009333 or by email info@oorlajewellery.co.uk. Entry to the competition, which ends on at midnight on Friday 13th December is via the rafflecopter widget below. The usual terms and conditions apply. "Spending On Kids’ Christmas Presents: How Much Is Enough?" "Giveaway: Gorgeous New Mum & Baby Socks & Booties From Perilla Worth £35"
I'm also following on Bloglovin as "Hafsah"
followed on instagram as fayhhuntington1 🙂 merry christmas! I'm following you on instagram as @munchieloves. I have completed all of the mandatory requirements.